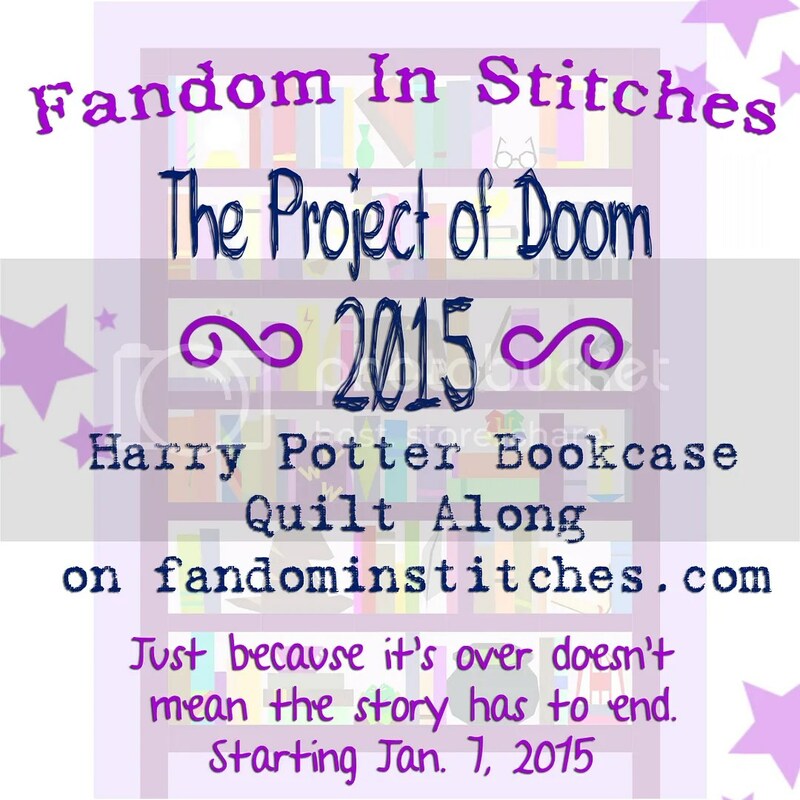 The big one…the one we’ve all been waiting for! 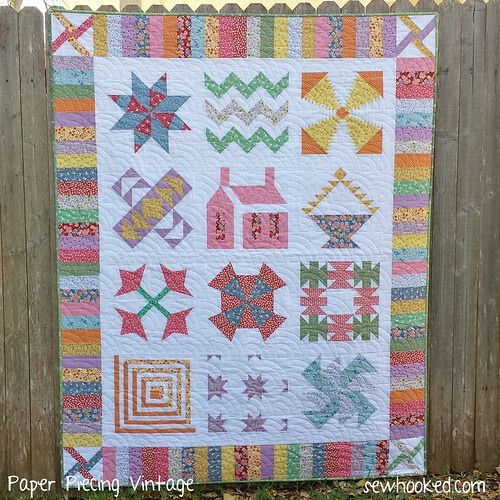 It’s hard to believe, but we have reached the finale of Paper Piecing Vintage! 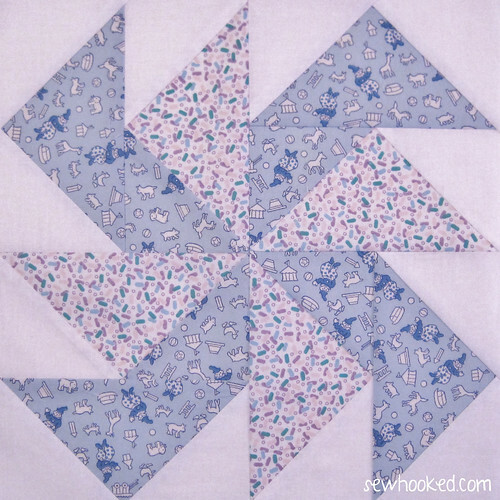 Today’s update includes not only the final pattern, but the finishing instructions to turn each size block into a quilt using either 6″ or 12″ block AND an optional surprise bonus not included in the original design, the beautiful pieced border you see above! 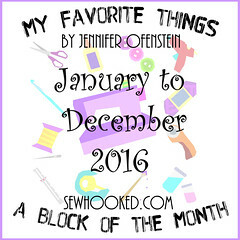 It has been my great joy and honor to share this very special vintage-inspired Block of the Month event with you all. 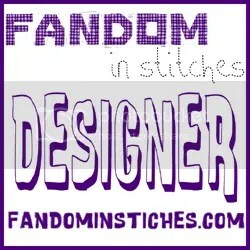 Thank you for shopping small and supporting an independent designer like myself! 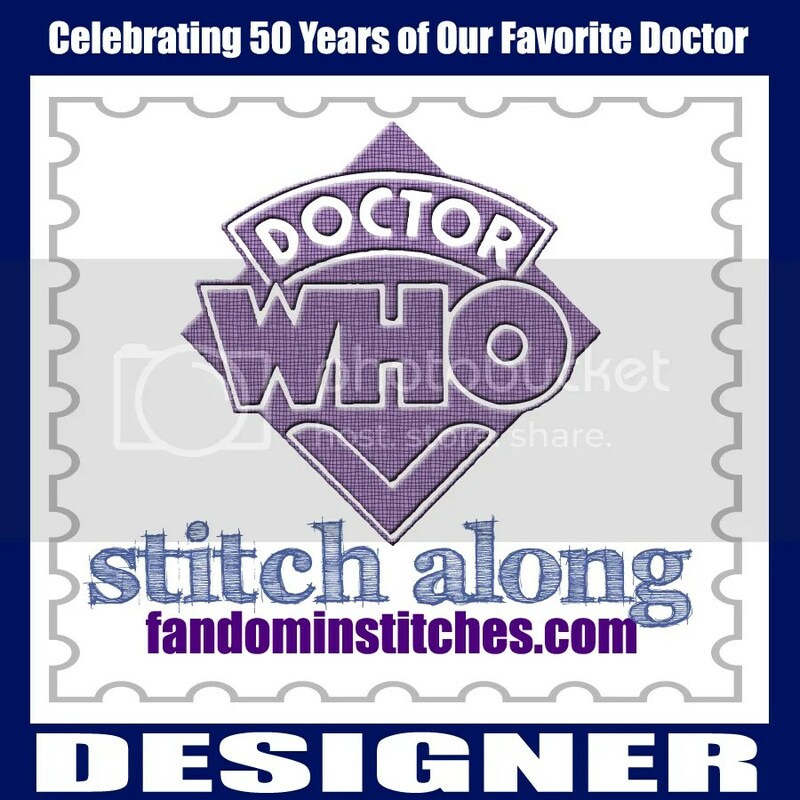 Your patronage helps to keep me designing and sharing both free and for sale designs. 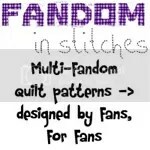 And before we move forward with this last big PPV post, monumental thanks go out to my very good friend and consummate pattern tester Amber Lowery for testing each month’s pattern so it could come to you every month error free! 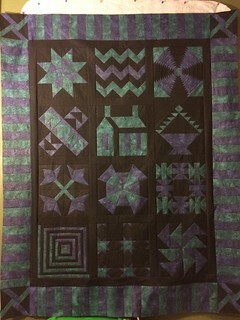 This stunning black, teal and purple quilt with optional pieced border is her finished version! 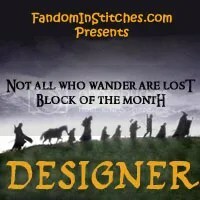 And now…the final block in this 12 month block of the month! Today we have Spinning Puzzle. 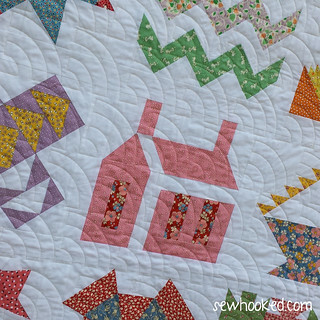 It looks complicated, but it pieces like a four patch and is super duper easy! 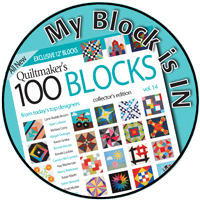 As with all the blocks from PPV, Spinning Puzzle is entirely paper pieced and both 6″ and 12″ patterns are included. 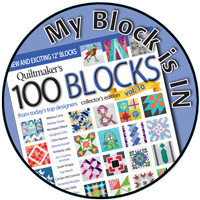 Download your updated BOM file now! 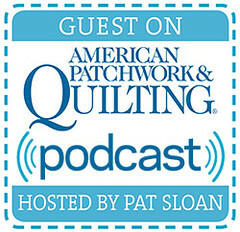 Gorgeous custom quilting by Francesca of Swink Girls Quilts! Aren’t the Baptist Fans just wonderful? 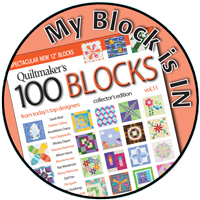 As a special offer just for Sewhooked customers, get a 10% discount from Swink Girls Quilts on long arm quilting for your own Paper Piecing Vintage when you get in touch with Francesca by March 1, 2015! 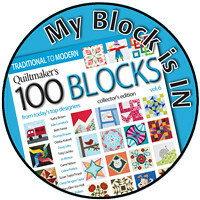 Offer only good on Paper Piecing Vintage Block of the Month quilts. 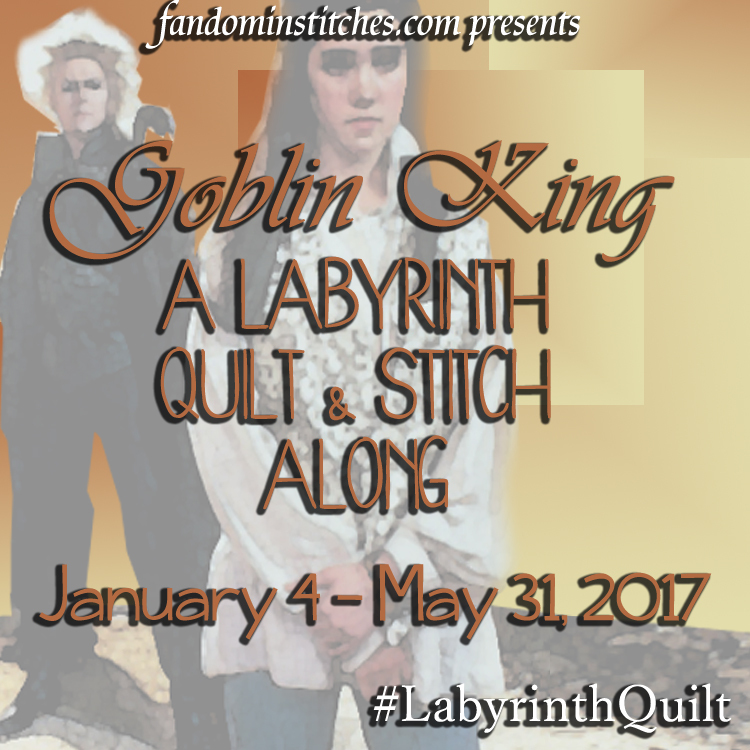 Please see Swink Girls Quilts for details on long arm quilting pricing and email Francesca to make arrangements to have your PPV quilted! 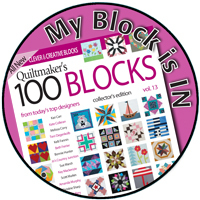 There’s still time to send in your Signature Blocks! 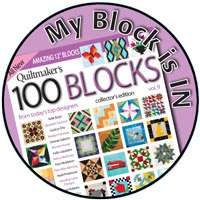 All blocks received by December 31, 2014 will go into a keepsake quilt that includes the 2014 PPV Participants. 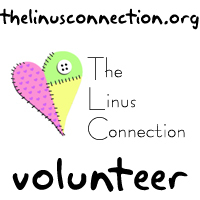 Won’t you join us? 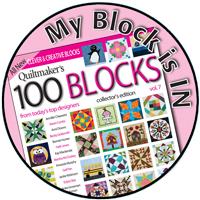 See your pattern for details and check out our Facebook Group for photos of blocks received so far! 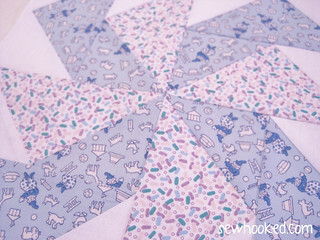 Haven’t bought Paper Piecing Vintage yet? 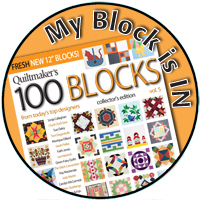 You can download the entire Block of the Month right now for just $12 – That’s 12 vintage inspired block of the month designs in 6″ & 12″ paper pieced patterns (24 total! 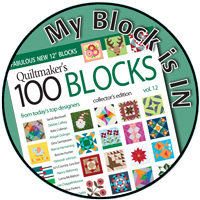 ), bonus blocks, layouts for two quilt sizes and instructions for a bonus pieced border, all for one awesome price! 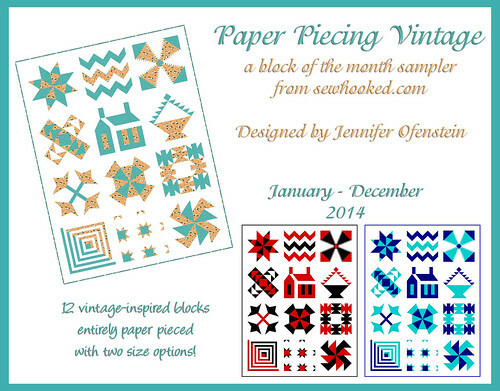 Purchase Paper Piecing Vintage now! Visit the Sewhooked Etsy Shop for these fun commemorative Paper Piecing Vintage greeting cards in red & green, just in time for the holidays! 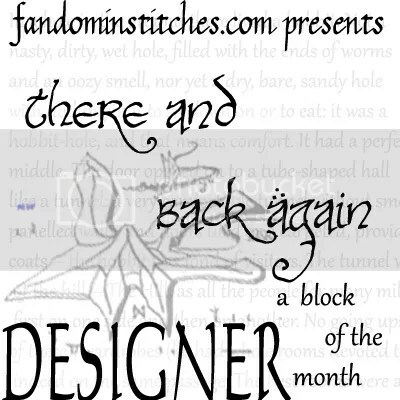 This entry was posted in Craftsy, Paper Piecing Vintage 2014 and tagged amber lowery, block of the month, craftsy, paper piecing vintage, ppv, vintage inspired on December 1, 2014 by Jennifer Ofenstein. 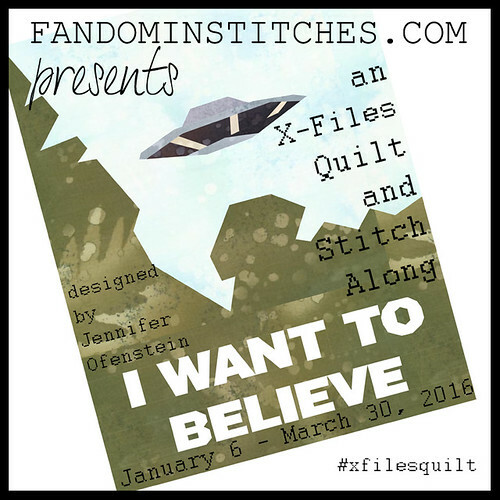 Your quilt looks awesome, Jennifer! I love the green binding! PS…is your whole site snowing, or just the pictures? and how?!!? 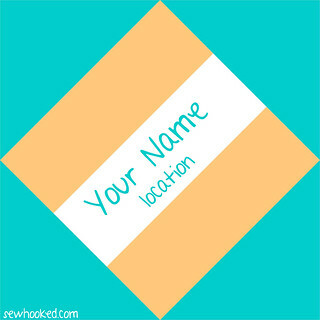 Hi, I just wondered if you could send me he basic paper piecing instructions that was on facebook last week, where it showed how to paper piece. 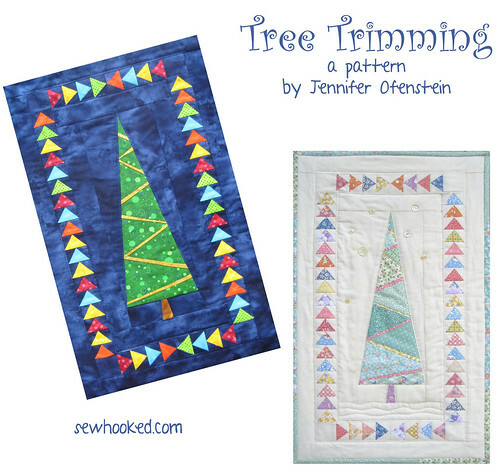 You were showing how to paper piece on a tree with just the ground and sky.